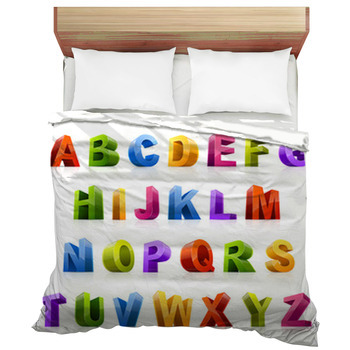 Alphabet bedding becomes more and more popular every year as kids learn to read at an ever earlier age. Bedrooms based around the ABC’s have always been a great way to introduce and encourage kids to learn their letters and learn to read while they play and have fun with their friends. 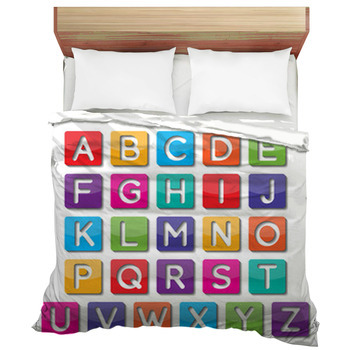 An alphabet theme also makes for a unique style replicated not only for kids but for adults as well with comforters, custom size duvet covers, and more! 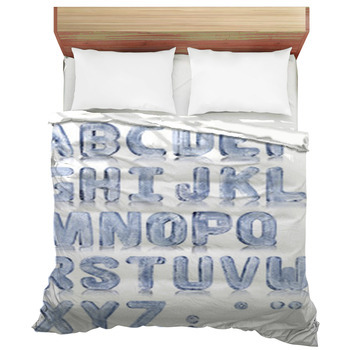 This themed bedding is a great way to add this unique style to a room, whether you're looking to encourage a child to learn their letters or simply adding a custom touch. 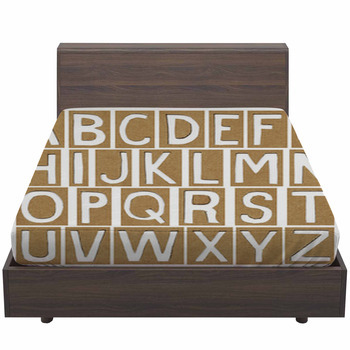 Speaking of a custom touch, you can spruce up our alphabet designs with ones of your own. 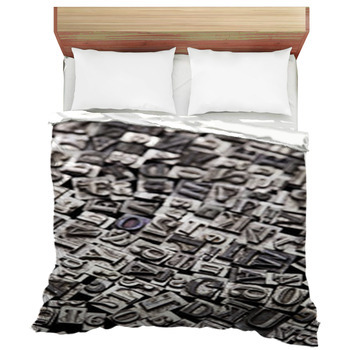 Maybe you love our abstract lettering for your comforter but you want a new background color, or perhaps you've become enamored with magazine-style lettering but want to add an image of your own as well. 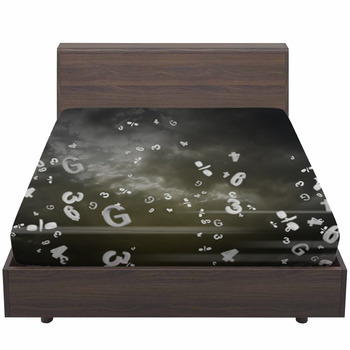 With VisionBedding's vast array of personalization options, you can do all that and more. 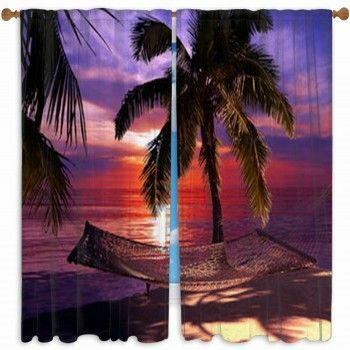 And the personality does not end there, because we offer A to Z bedding options on our comforters, red-letter-news on our duvet covers, and anonymous pillowcase themes. 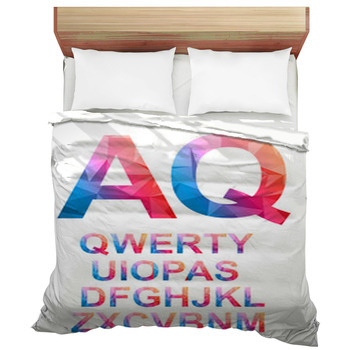 We even feature bedsheets with letters flying through the open sky. Who says freedom can't come from learning? You can showcase that free feeling in sizes from Twin to King and everything in-between. 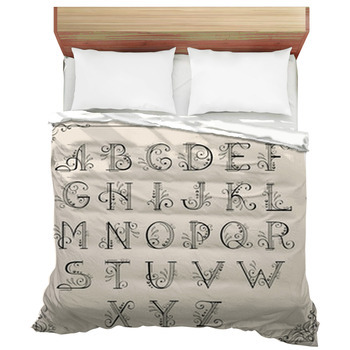 Our alphabet bedding is perfect for a themed room in your home. Try the chalkboard theme on every bedding decor item for a black-and-white touch to your space. You could also mix and match different alphabet styles for an eclectic conglomeration of lettering. No matter how you choose, this theme will brighten a room with the light of learning and knowledge. Though an alphabet theme might seem like it's for children, everyone knows that a love of letters does not go away in adulthood. 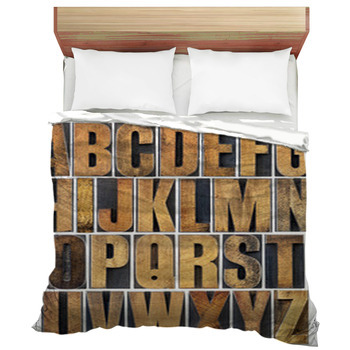 Any bedroom can showcase a love of the written language with adult-themed alphabet stylings. These designs are perfect for teachers and readers the world over. 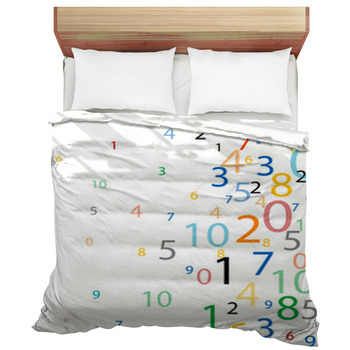 Let your love of language flow through you and out into your sleeping space. Don't dream of counting sheep, dream of naming them!